Hi hope all are good... I recently bought a French bike from the 70's, a Jeunet... I couldn't tell you what model not a hight dollar model I would think... Well it has normady hubs can I take it for granted it is French threaded and not waste time taking the freewheel off to change it ? any and all help welcomed!!!!! Yes, from 1972 to 1975 for sure, various models, some equal to a Peugeot UO8, some up to a PR10. Most probably French threaded on the hub too. Not too bad, I thought they rode a bit beyond their price, the Simplex front derailluers have a reputation for breaking at the plastic body, so be careful if you torque the bolts. We don't cotton to people who cut things off their bikes in these here parts. Check out my bike blog! You may have lucked out with an ISO freewheel. Look for something like "BSC" on the lockring. hello!! i have 2 dilecta le blanc touring bikes ! one single and a tandem aprox 1960! 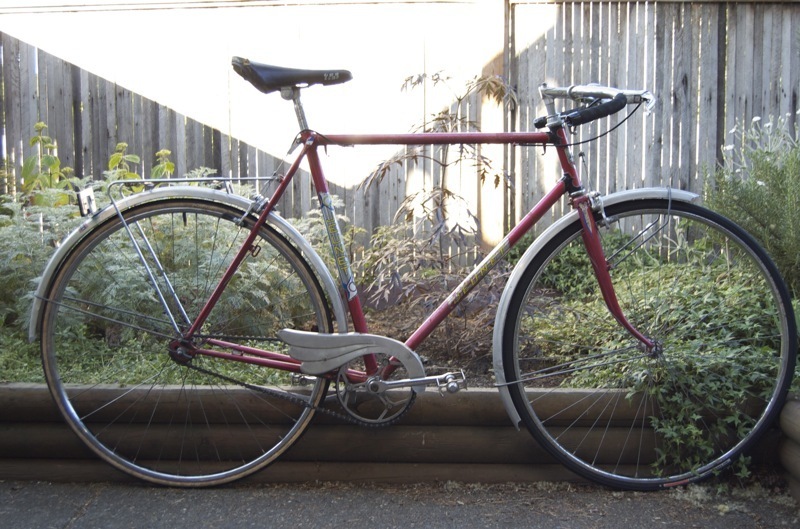 cant find any other pictures on the internet .sheldon brown french bikes only mentioned the name.know of any others on the internet. i will be posting pictures in the next couple of days. mpfgc. do u have any pictures of your dilectas.will be posting mine soon. thank you!! !